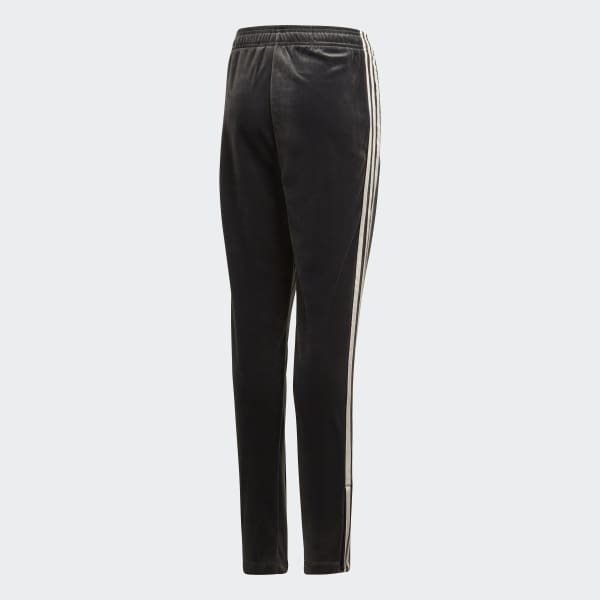 On-trend pants in luxe velour. 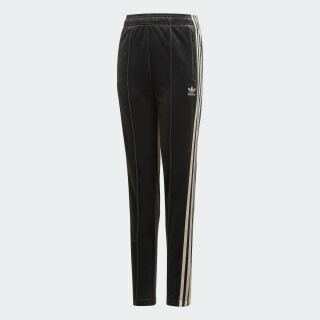 The classic adidas track pants get a modern update. A slim fit and high waist give these pants a trendy shape that pairs with cropped or tucked shirts. Shiny 3-Stripes flash from the cosy velour fabric for a touch of glam.